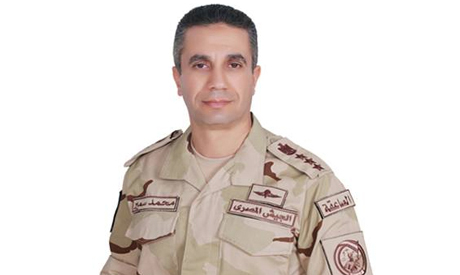 Kidnapped police captain Ayman El-Desouki was found dead on Tuesday in the restive Sinai Peninsula, Egypt's army announced in a statement. A military spokesperson described the killing as "cowardly." "We extend our deep condolences to the family of the late policeman, and we stress that such incidents increase our determination to fight all kinds of terrorism in Egypt," the statement read. El-Desouki, an officer in the ports security division, was on a bus in North Sinai on Monday when alleged members of militant group Ansar Beit Al-Maqdis(ABM) – who had set up a checkpoint – searched the bus and took him to an unknown location. The army statement added that on Tuesday morning police and military personnel pursued 'terrorists' in Sheikh Zuweid, Rafah and Al-Arish, the places where the police captain might have been captured. It also said that during the pursuit ten 'terrorists' were killed, while two others were arrested. Egypt's general prosecutor, Hisham Barakat, imposed on Monday a gag order on the incident because the matter was still being investigated. ABM, which has claimed responsibility for a number of terrorist attacks, including the killing of 30 army personnel in October, pledged allegiance to Islamic State last November. Egypt’s security forces have been facing a decade-long jihadist insurgency based in the Sinai Peninsula, with militant attacks increasing over the past 18 months and expanding into Cairo and the Nile Delta, killing hundreds of army and police personnel. It is sad to say that Egyptian persecution of the Islamists makes the continuation of this violence inevitable. Egypt doesn't allow the Islamists freedom of speech or freedom of assembly or freedom the press....It just grants them the freedom to explode ...or implode Where are the wise men of Egypt? Meet with the Islamists...talk to them and with them...It is never enough to call them "terrorists". You too are terrorists and criminals for them. Give them the right to participate in political life...just like anyone else...Don't use the scandalously corrupt justice system to punish them....If you do that, violence would disappear. can't the major roads be made safe by surveilliance from the air or if not limit traffic to convoys of vehicles departing at given times under army protection , to include helicopter monitoring.